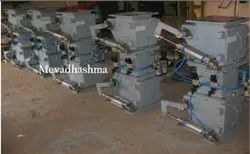 Pioneers in the industry, we offer knife gate valves and double flap valves from India. With firm commitment to quality, we are presenting for our clients a wide range of Knife Gate Valves. The offered gate valve is manufactured from the high-grade factor input as per with the industry norms. 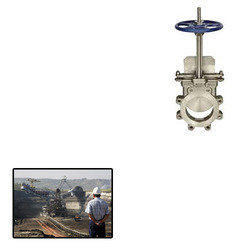 We offer this gate valve in a number of specifications so as to meet the demand of customers. Our quality controller inspects this gate valve on different parameters in order to make certain its performance. With rich industry experience and knowledge, we are presenting a wide assortment of Flap Valves. This flap valve is manufactured using top quality raw material and latest technology keeping in mind the set norms of industry. The offered flap valve is well known among patrons for its flawless performance & long service life. We are giving this flap valve to our customers in varied specifications at market leading rates.